Dell unveils a new desktop PC, the XPS 420. This series features an Intel platform with a Core 2 Duo E6750 CPU, Windows Vista, ATI Radeon HD 2600 XT, 2GB DDR2 memory, 320GB HDD, DVD burner and a 13-in-1 media reader. 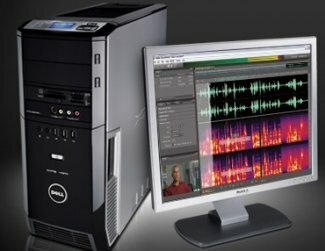 The exclusive Dell Xcelerator option muscles through one of the most time-consuming digital activities: grabbing video to go or prepping it to upload to social networking sites. Whether it’s transcoding, transrating or transcaling video, the Xcelerator can get recorded video ready for portable devices up to 25 percent faster while reducing the burden of video conversion up to 86 percent. Gadget enthusiasts will appreciate that the XPS 420 incorporates Microsoft’s SideShow technology to desktop PCs. The small color display integrated into the front panel provides easy access to stored media, certain system functions and standard Windows SideShow "gadgets" without using the keyboard or mouse. Standard gadgets include date and time default screen, Audio Playback, Picture Slideshow, Video Playback and PC Monitor. Pricing starts at $1,499, and that's with a 20" LCD display.